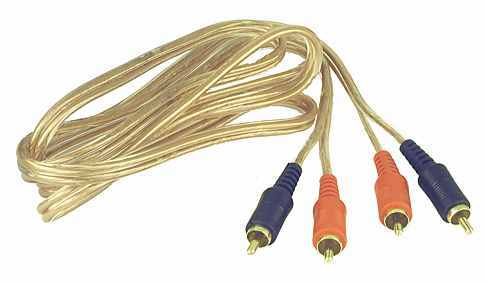 transparent 2 channel interlink with a red and a black RCA plug at each end. 2 channel interlink, blue with two red and two blue striped plugs at each end. Cable with 6 mm diameter each, conductor is pure copper: Cu 99.99997%. We stock all Oehlbach Cable!